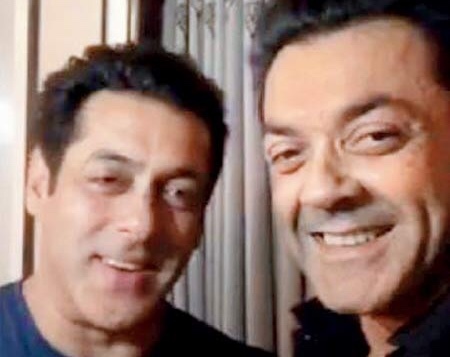 Besides the stellar onscreen presence of Salman Khan and Bobby Dell in Race 3, the actors share a great camaraderie off-screen as well! Bobby has immense praise for Salman Khan who not only offered him the role in Race 3 but also helped him get back into shape! Here’s wishing both Mamus all the best for Race 3! Salman Khan Films and Tips Industries Limited present Race 3, starring Salman Khan, Jacqueline Fernandez, Anil Kapoor, Bobby Deol, Daisy shah, Saqib Saleem and Freddy Daruwala is directed by Remo D’Souza and produced by Ramesh S Taurani & Salma Khan. The film is slated to release worldwide this Eid on 15th of June 2018.